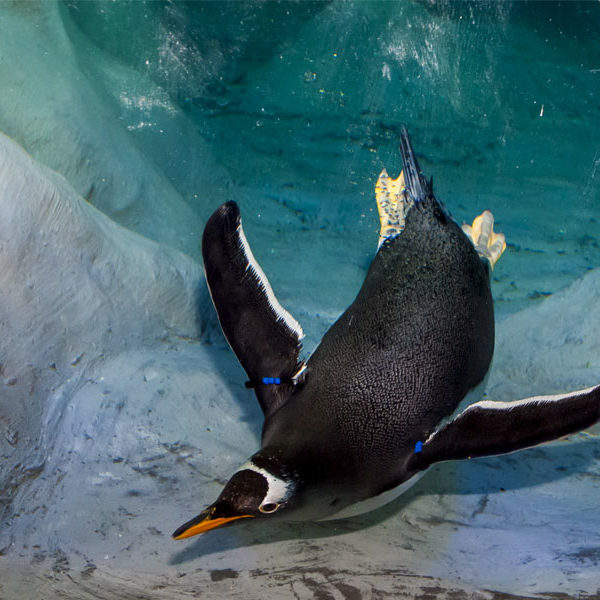 Enjoy the excitement of the Antarctic without the cold in the Antarctic Adventure gallery where you can explore the Deep Sea lab, watch glowing sea jellies, or waddle with the only penguins in Utah. Range: Gentoo penguins are mainly found in the Sub-antarctic, down to the tip of the Antarctic Peninsula. This is the area north of the Antarctic which includes islands and parts of other oceans. Habitat: Colonies of Gentoo penguins can be inland or coastal on Antarctic and Sub-Antarctic islands. They typically breed on ice-free ground such as beaches, island hills, and cliff tops. Size: The Gentoo penguin can grow to about 30 inches in height and weigh around 11 to 19 pounds. Diet: Gentoo penguins tend to feed on Rock cod, Lanternfish, crustaceans (Krill), amphipods, and cephalopods (mainly squid). Conservation Connection: Threats that Gentoo penguins face include overfishing, egg hunting, and oil spills. There also has been a decline of penguin populations near the Falkland Islands due to a lack of food available. Did You Know? Most penguins can only hold their breath for about a minute, but Gentoo penguins have been recorded holding their breath for up to seven minutes. Click to check out our live penguin-cam feed. Range: Moon jellies can be found in warm and tropical oceans such as the Atlantic Ocean, Pacific Ocean, and Indian Ocean. Habitat: They are often found near the coast and prevalent in both inshore seas and oceans. Size: The size of a Moon jelly can be anywhere from five to 40 centimeters wide. Diet: Moon jellies are carnivorous creatures that feed on zooplankton. Their diet commonly consists of mollusks, crustaceans, nematodes, protozoans, and eggs. Conservation Connection: Coastal development has resulted in an increase of jellies near shores as they are attracted to the bright lights. They play an important role in the oceanic food chain and an overabundance of Moon jellies often is a sign of an unbalanced ecosystem. Did You Know? 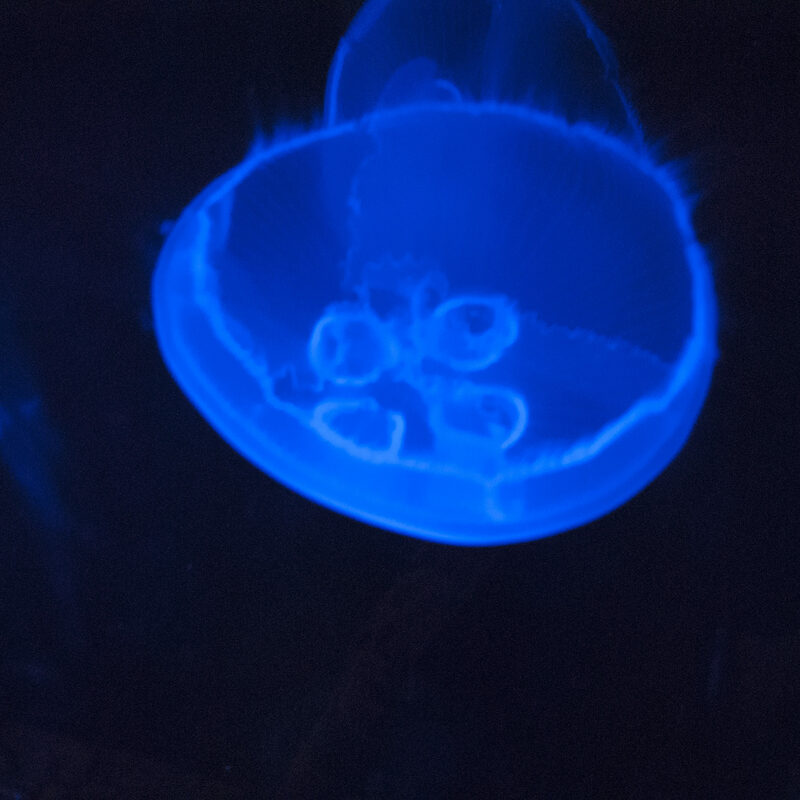 Moon jellies have no brain, lungs, gills, or heart.